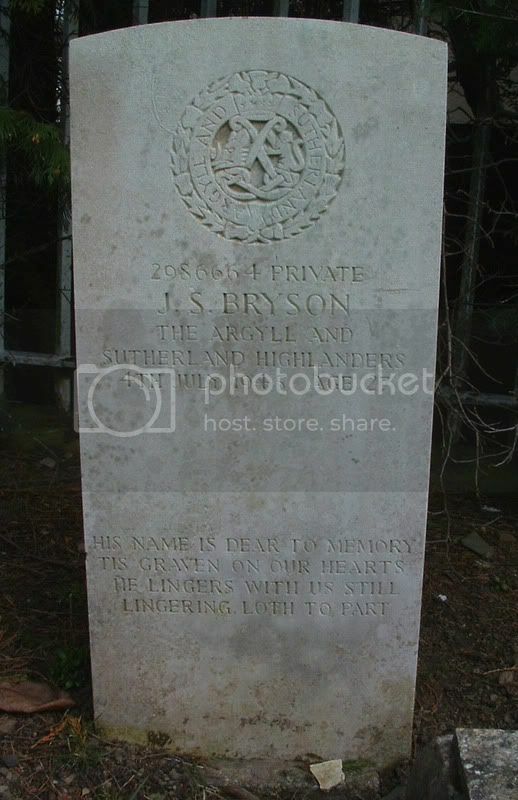 Additional information:	Son of Charles and Annie K. Bryson, of Cumbernauld. Grave/Memorial Reference:	Sec. B. Grave 55. 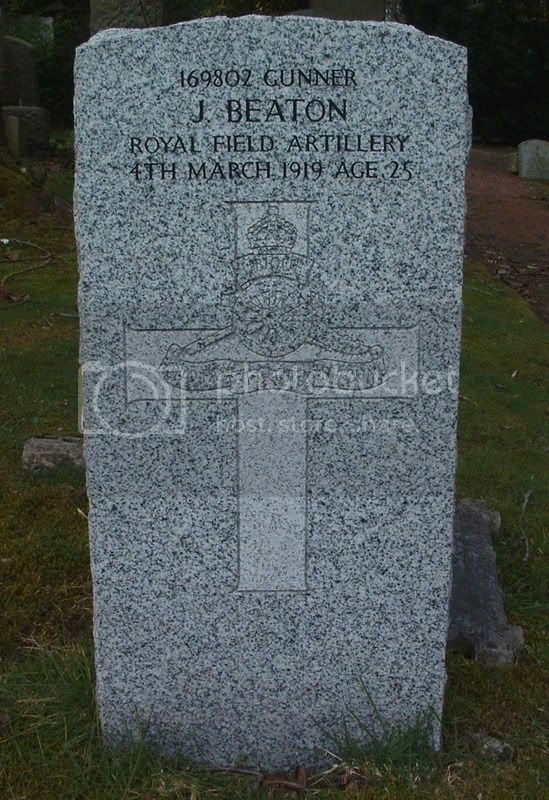 Additional information:	Son of Wilfred and Annie Godley, of Cumbernauld Station; husband of Audrey Godley, of Cumbernauld Station. Grave/Memorial Reference:	Sec. L. Grave 952. Grave/Memorial Reference:	Pier and Face 15 B. Unit Text:	5th Reserve Bde. 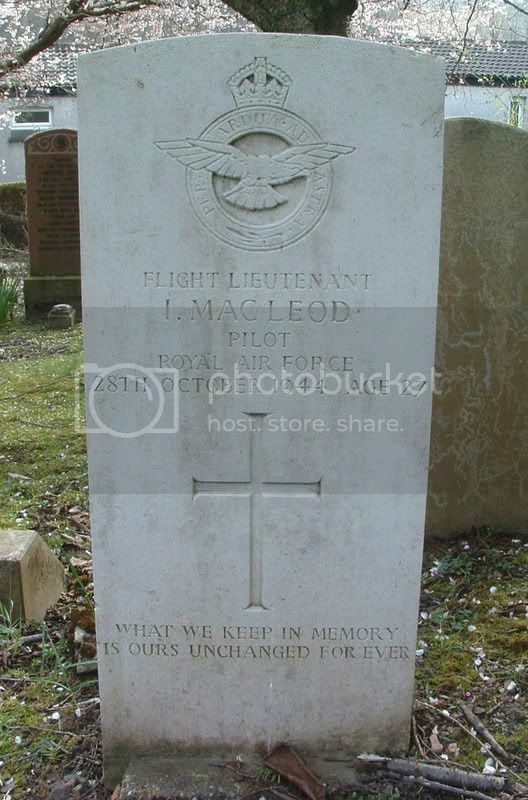 Additional information:	Son of Neil MacLeod, and of Christina MacLeod, of Condorrat; husband of Audrey MacLeod. Grave/Memorial Reference:	Sec. 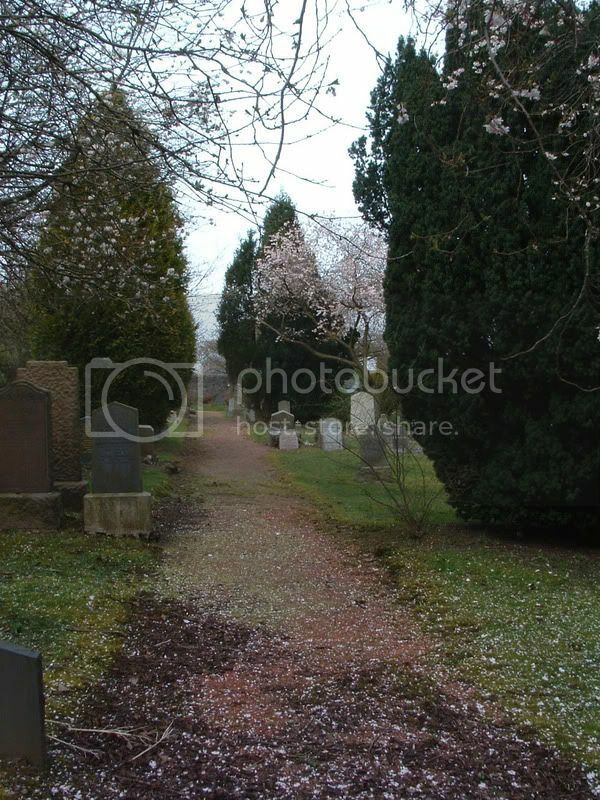 R. Grave 1342. 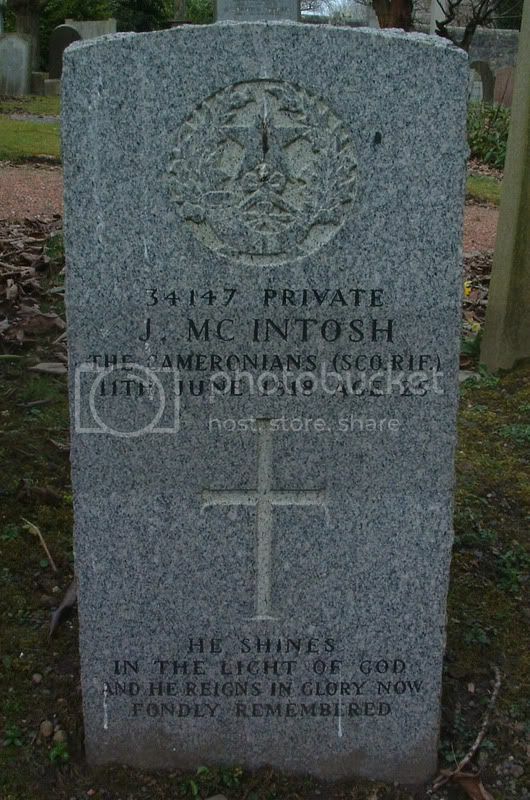 Additional information:	Son of John and Margaret McIntosh, of Condorrat, Croy, Glasgow. 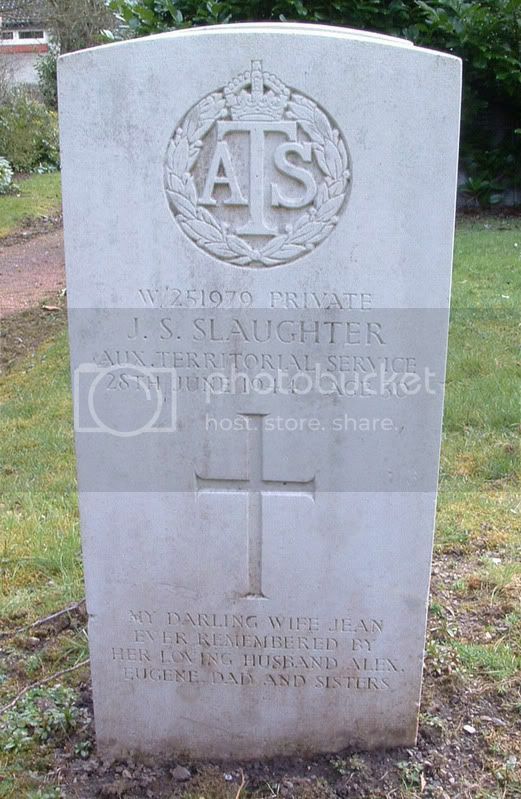 Additional information:	Daughter of George and Janet Bowers Sorley Crichton, of Renfrew; wife of Gutherey Alex Slaughter, of Richmond, Virginia, U.S.A.
Grave/Memorial Reference:	Sec. G. Grave 554-555. 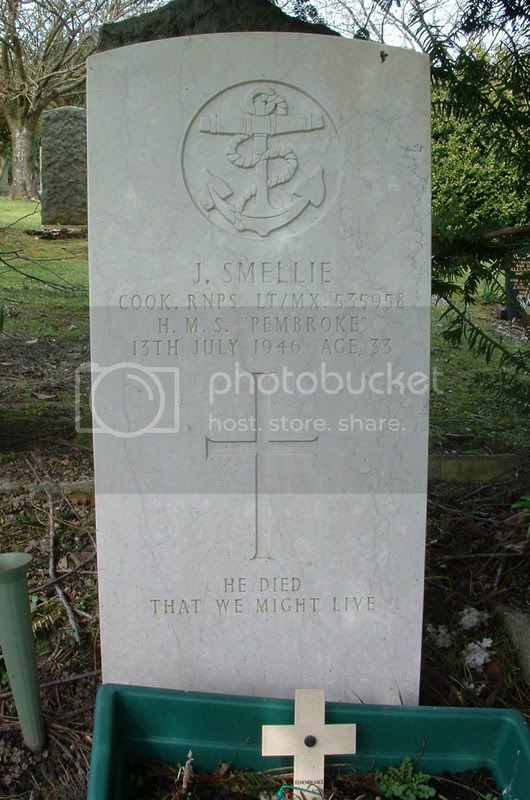 Additional information:	Son of John and Janet Smellie, of Condorrat; husband of Ann Smellie, of Cardowan Stepps, Lanarkshire. Grave/Memorial Reference:	Sec. R. Grave 1368. 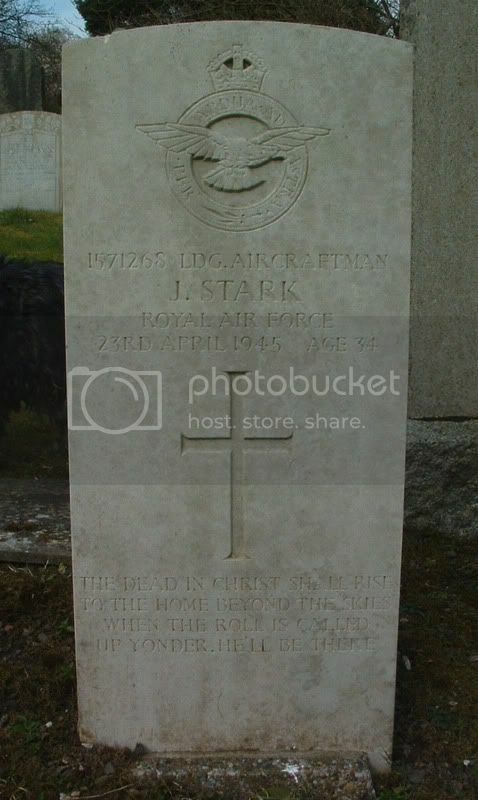 Additional information:	Son of Joseph and Margaret Stark, of Cumbernauld; husband of Helen Stark, of Bonnybridge, Stirlingshire. Grave/Memorial Reference:	Sec. 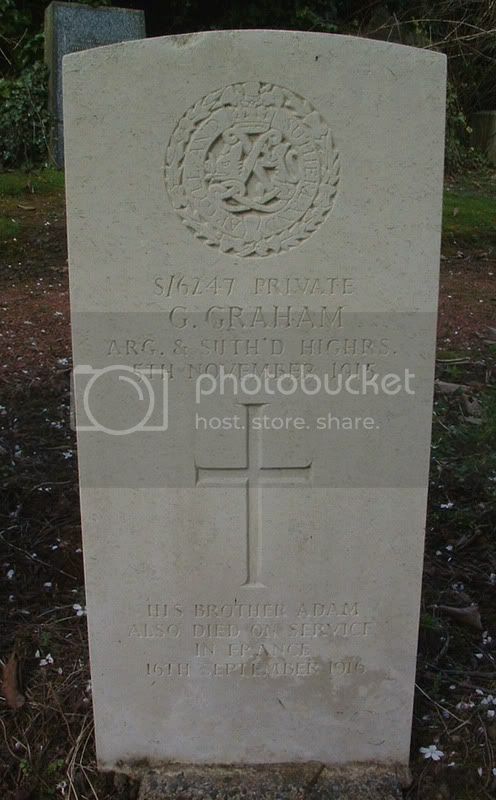 R. Grave 1035. 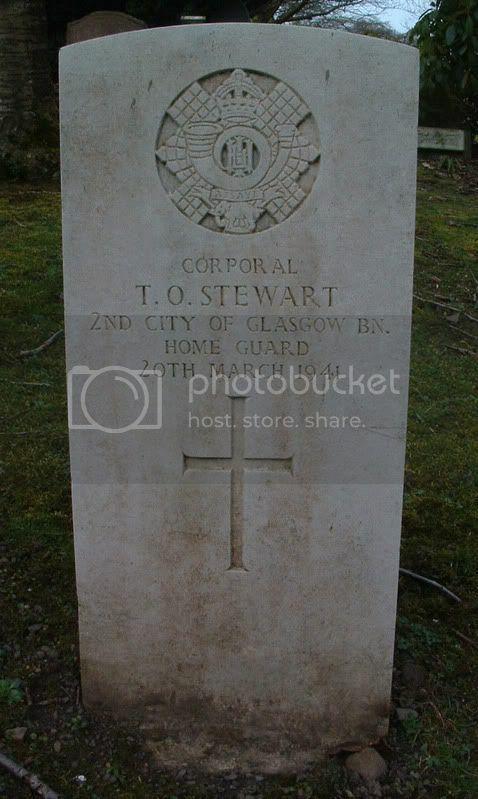 Unit Text:	2nd City of Glasgow Bn. Grave/Memorial Reference:	Sec. J. Grave 763. 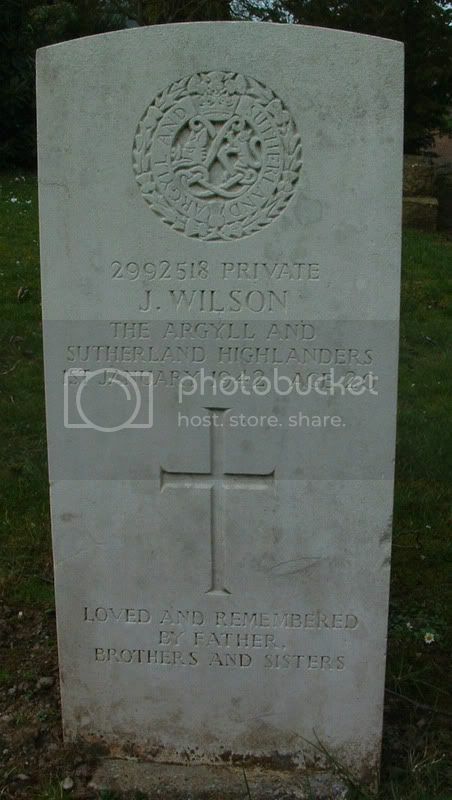 Additional information:	Son of Peter and Janet Wilson, of Cumbernauld. Grave/Memorial Reference:	Sec. G. Grave 556-557. 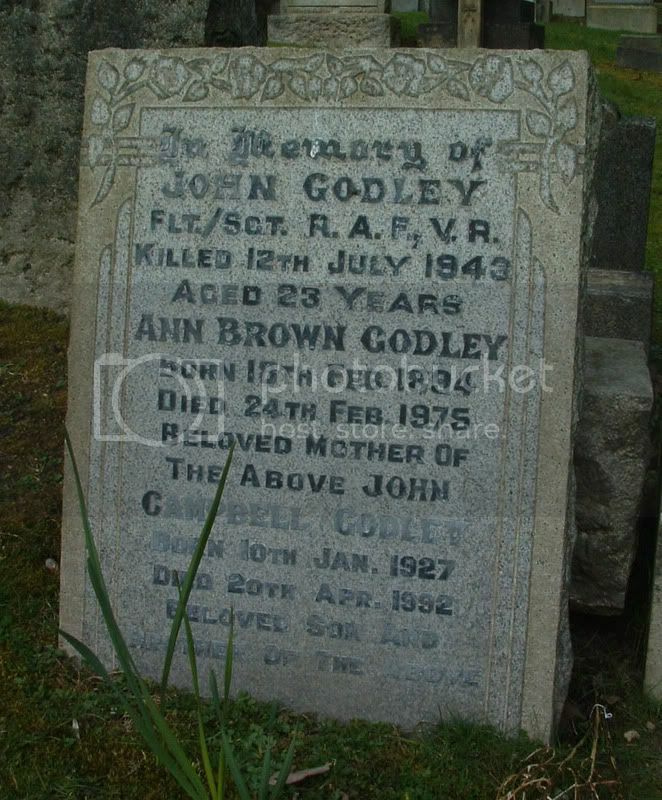 Additional information:	Son of Arthur and Gladys Ballantine; husband of Peggy Joan Ballantine, of Horning, Norfolk. Grave/Memorial Reference:	I. D. 4. Unit Text:	131 Field Regt. 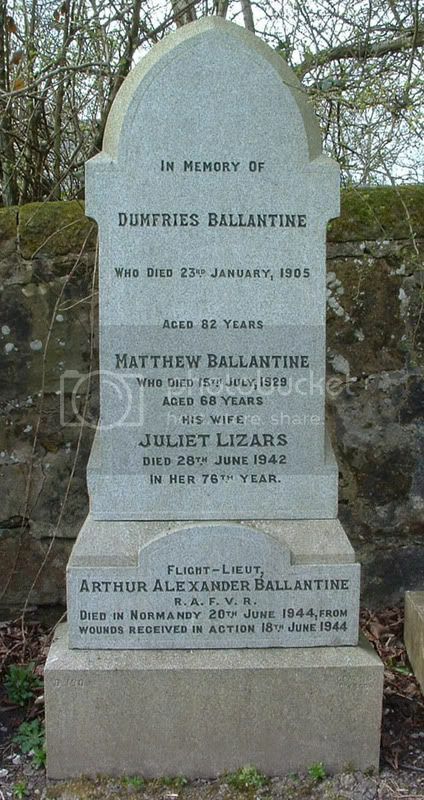 Additional information:	Son of James Alford Chalmers and of Sylvia Annie Chalmers (nee Winter), of Cumbernauld South, Dunbartonshire. 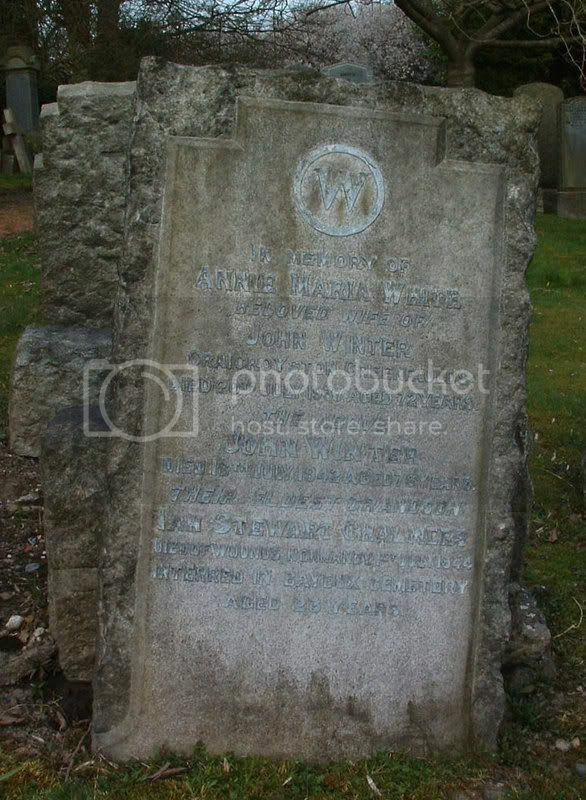 Grandson of John & Annie Maria Winter (nee White), Graigroyston, Greenfaulds, Cumbernauld. Grave/Memorial Reference:	VIII. D. 9.